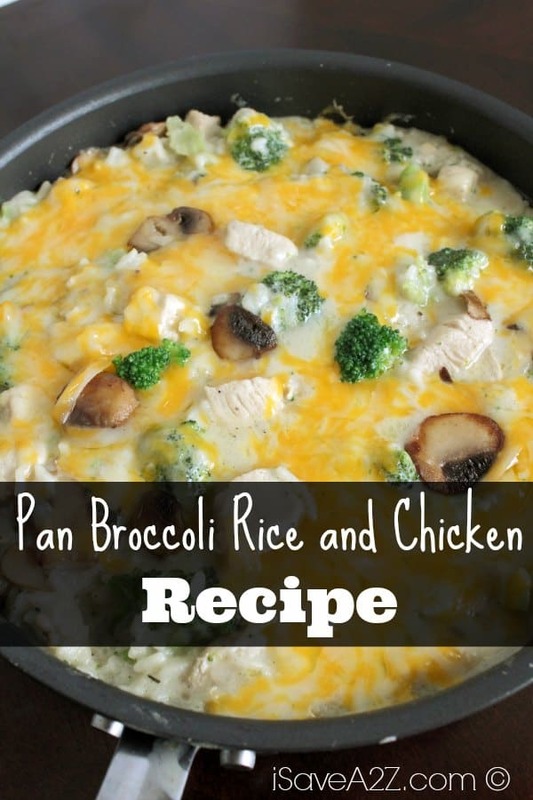 Check out our neat and amazing recipe for our Pan Broccoli Rice and Chicken! If you’re looking for some great chicken recipes, then you can look no further! Be sure to check out some of our other great chicken recipes, such as our Easy Chicken Alfredo, or even our Easy Chicken and Rice Casserole. If you’re looking for some even more super easy Chicken recipes, then you should check out this great cookbook filled with 101 Quick & Easy Chicken Recipes! With all of these recipes, you shouldn’t have a hard time finding any more chicken recipes for a while! minutes. Remove from pan and set aside. of the Chicken cubes. Remove from the pan and set aside with the Mushrooms. the Oregano, Thyme, Sage, Salt and Pepper. Cook until thickened. -12 minutes. Remove from heat. By Megan on January 28, 2015 Chicken recipes, Recipes.